3D printers are great for finding the little tweaks needed. The drum cam and index plate will be steel as will the forks but this lets me try it all out before committing to metal. 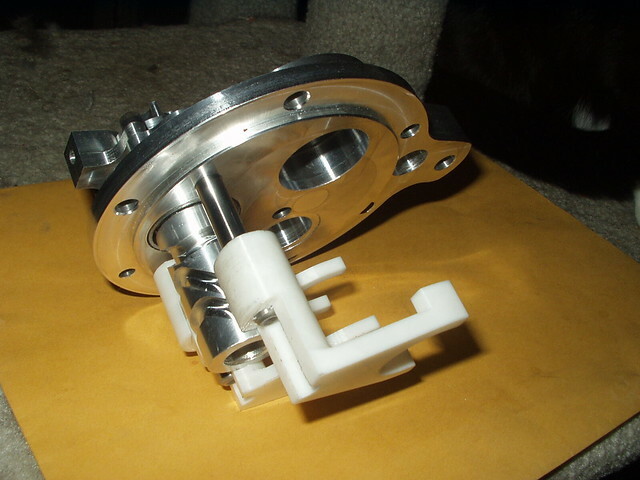 The shift plate with pawls goes over the index plate and pushes against the lobes to rotate. The index plunger is a ball here but it will be a roller. If you look closely you can see the wear mark of the ball on the edge of the index plate. The same problem all the stock index plungers have. A roller will not make the indent. I am thinking of adding three tapped holes to the door so a puller plate can be attached to remove it from the case. Generally you have to pound on the mainshaft with a plastic hammer to get it off the studs. Yes, it actually fits inside the gearbox without modification. Looks good, be good to see the finished article with gears in place. Always like to see people making things which can make an improvement. It looks the dogs dodahs. Any idea when they're going to be on the market? Have you any plans to turn your talents to an electric start as well? With 2 A65 boxes on the market and the Nova version on the market which is very similar with the barrel selector, also the John Hill/PES 5 speed box which has proved extreemely popular.... Is there any call for another 5 speed box? Edit, I am looking again at the photo and can only see 2 selector tracks... Is this for a stock 4 speed? Last edited by Allan Gill; 02/01/19 3:14 pm. I am cheap and cannot afford that much for a gearbox. As for ratios, a CR is nice for racing but as John H. pointed out the races are so short that acceleration to the first corner is more important. My ratios cover the same range as standard. 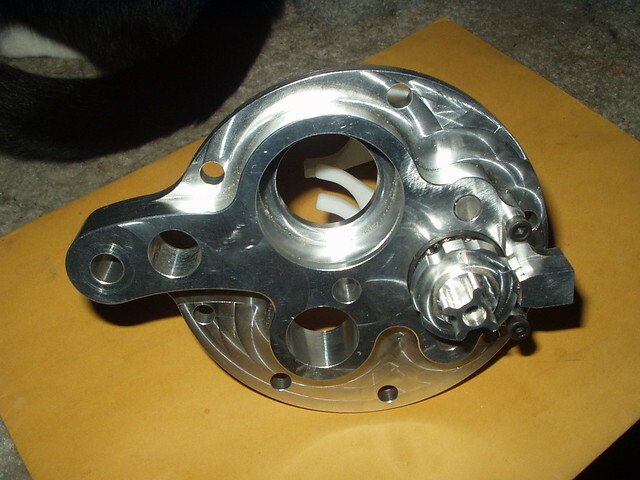 From Nova's picture they kept the ball bearing high gear with sleeve bearings. I am making mine like the Quaife with roller bearing and needles on the mainshaft. 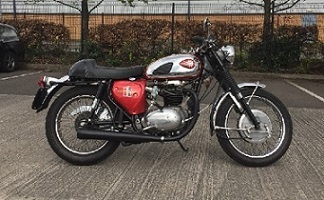 It uses the Triumph sprockets. Back cut dogs and the rest. There are three tracks, look again (three forks so there must be three tracks). The same setup could probably be used on the stock gearbox but I doubt many people would want to pay for it. An "up for first" drum could easily be made. The starter for the A65 is on hold at the moment. Too many projects with too little time. The "RPM Drop" plot shows the change in RPM at each shift. The standard A65 is almost a straight line with 1000 RPM drop at each shift. The T140 is almost flat on the last two shifts. The Quaife has a higher RPM drop on 4th-5th than the 3rd-4th, more like an overdrive. Mine is a little more progressive declining curve with each up shift. The T140 has a slightly higher 1st gear than mine but it is less than 2 MPH difference at 7500 RPM. Quaife has the highest 1st gear. It was that problem with the Quaife why I changed my mind on using them to commission some boxes, especially as they were reluctant to change what they were offering regarding ratios. A standard a65 is missing between second and 3rd, the close box is spot on apart from its benefit from a 5th gear and that would be a low first. Unfortunately anyone who I’ve spoken to hear boxes about don’t understand about a change in tooth pitch to obtain a different ratio and when you mention the numbers of teeth for each paired gear most don’t believe you. If you alter the engine characteristics so it produces a lot more torque, either box works well in the capacity it was designed for. The jump from 2nd to third is fine because the power band has been widened and the CR is fine apart from in club run traffic, unless you start gearing the overall ratios to stock. Mine runs sweetest with taller gearing, the clutch is taller so having a 19t gearbox calculates the same as a 20t with a standard clutch and a 42t rear sprocket. The CR A65 box has RPM drops of 2065, 1854 and 725 RPM @7500. The ratios I am using are 2564, 1670, 1041 and 725 RPM which I think is what you want. With a fixed centre distance and changing ratios the pitch has to be modified since a diametric pitch and number of teeth determine the pitch circle. I was able to get all but one gear set in a standard pitch diameter. Possibly Quaife did not want to change ratios because it would also entail changing the forks to clear the adjacent gears. 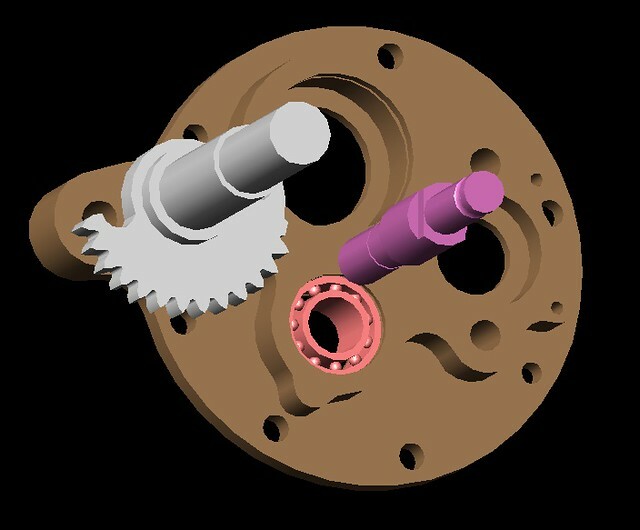 When I had drawn the shift plate version I had the second and third gears swapped from where Quaife put them and moved two forks for second rather than a single fork which gave more room in other areas. The reason to go to the drum was the awful ramp required for first with that track being so close to the pivot point. At this point you have to tune the engine for the gears that you have rather than design the gearbox for the engine power curve. Last edited by JER.Hill; 02/04/19 6:57 am. So, good for about one mouse power? Made a set of gears on the 3D printer. Truncated the high gear as I am not mounting a sprocket on it. After putting this together I decided to use metric bearings in the support plate as they are more readily available and cheaper than foot-and-finger bearings. Looking at the complete setup I thought it would be better to use a needle/ball combination bearing on the layshaft to control the end float and eliminate the shimming so I redesigned the support plate. Of course, after I ordered special needle-ball combination bearings for the layshaft, I was thinking why not just use a ball bearing? Those needle/ball bearings are expensive. It turns out I could fit a ball in there but it also intersects the hole for the shift shaft (the domino effect). No problem, I will bolt a plate across the face to support the shift shaft. No, the kickstart half gear goes right through where the bolt and plate has to be. Have another go and shorten the shift shaft and move the support plate outside the kickstart gear path. I wonder how many erasers the designers at BSA went through? I have an unmatched case half that I have used for other tests. I cut a window in the gearbox so I can see how everything fits. Looks good. 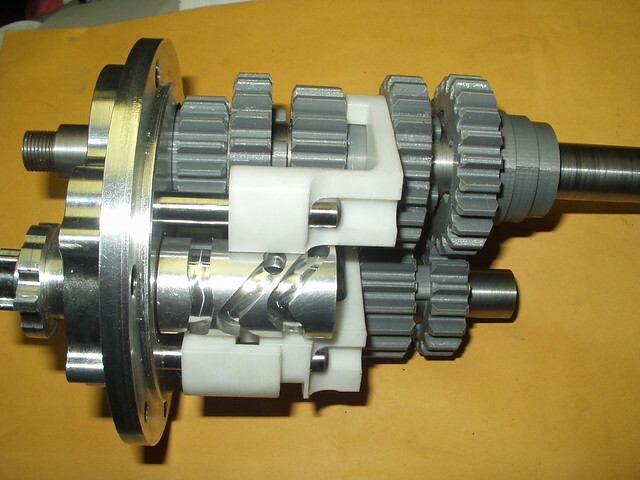 I also used an old gearbox casing witch I sectioned so that I could see everything working/meshing etc. I would put up a photo but I can't be bothered working out how to do it on this site, sorry. Be happy to email you or anyone else the photo. Mr. Gill. How did you help Nova with the ratios and (which) details? The lower photo shows the three selectors. I originally approached Quaife about having a set of gearboxes made, I would have needed 25 confirmed orders for them to start the process (if you go back through the search you may find this) I could full fill about 10 orders including my own which whilst could be done, each box would have been a lot more expensive than the price that an order of 25 would have been by about £1000. The other other issue was the big jump between 4th and 5th was too great and Quaife wasn't interested in changing their gear ratios. A few years previous I had contacted Nova, knowing the success of their pre unit 5 and 6 speed boxes I had asked them if they did a box for the A65 which they did not. Going back to my original post on here I started communicating with David, after some discussion we had decided to contact Nova, it meant commissioning them to be made, something I couldn't afford so David stumped the money up. David then communicated directly with Nova and I spent time working out ratios. Using my own experience with the CR and STD A65 boxes, (I also compared against other 5 speed boxes from the era such as the T140 box) and how the bike performed with some different cams, cylinder heads etc I got a good idea of where (in my experience) the power band was, and where I felt the next gear change should be for to keep the bike in the power band, from that worked out a box for either racing or road use. The CR box wasn't much different to the ratios I sent off apart from "adding a first gear" and from memory adjusting some of the ratios to suit. Nova asked for various measurements from different years of A65 to make sure that a box would fit anything from the first to the last of production. because of the limit of cases I could measure from at this time I asked Ed V to make some measurements for me. 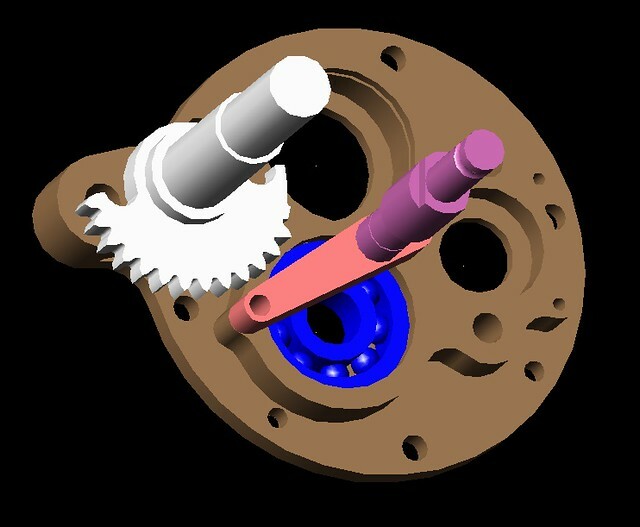 Nova took the ratios and tweaked them to suit the tooth profile on their gears but they are not too different from what was sent. After all that I still couldn't afford the box even at the price offered to me, I think David had a couple of them. Before its official release and publication in the CBG I found out that John had also made a box, at the time it was cheaper than what I could have bought the Nova box for at discounted cost and withdrew interest. If you wondering if I could back this up, I could.... I still have all the emails and the spreadsheets from the time (albeit on another computer but still available, you would just have to wait until I get to it). As far as needing another 5 speed you could make the same argument for suppliers of other parts. 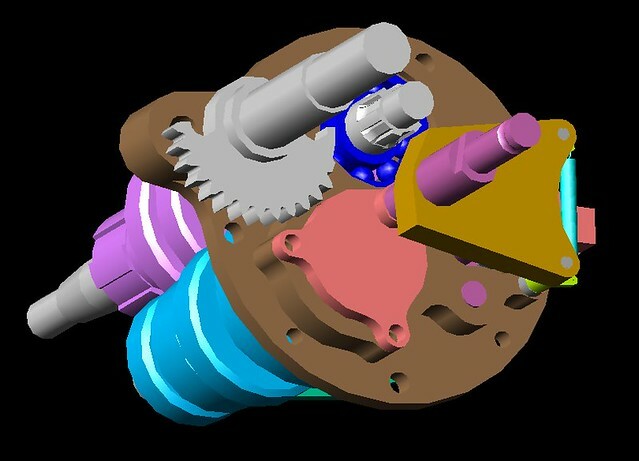 JER.Hill's gearbox is more close ratio. I do not know what Nova's is. For me, the Quaife has the wrong ratios. I do not have to recoup the cost of designing and building a gearbox over the number I might sell as someone like Nova has to. I do not see having to design for very early cases with the speedometer drive off the layshaft as practical. As I mentioned, the NKIB5903 needle/ball is quite a bit more expensive than the 6303 ball bearing but the 5903 installation is a little cleaner not having to add the support piece for the shift shaft. Any opinions on whether to go cost or clean? Either case requires a retainer plate on the end of the layshaft to lock the shaft to the bearing. This makes incorporating an oil pump onto the end a little more tricky but still possible. Do you know what your target sales price is? The NKIB 5903 bearing price is all over the place. From Motion Industries it is $126, on E-bay $33, from China where I ordered it it was $28 (with free shipping). Instead of using a snap ring to retain the ball bearing I could make the shift shaft support block do double duty and retain the bearing also. I do not have a target price. When I had the teeth cut on the triple ring gears it was $50 each for 50 gears. I am not building 50 gearboxes. 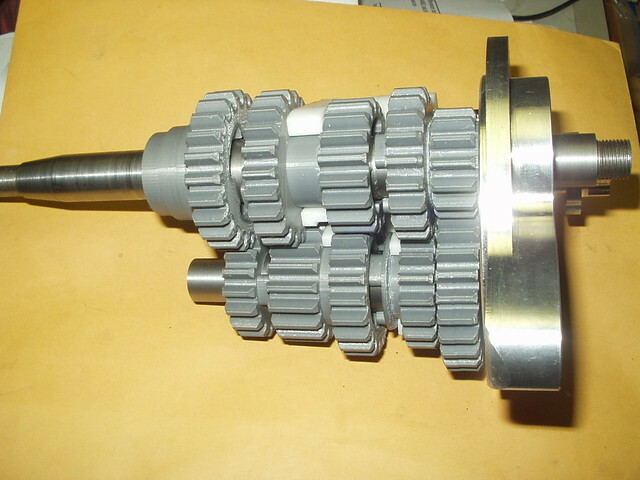 There are eight different gears to cut. I had teeth cut on three kickstart gears for a Douglas and that was $200. So somewhere between those two is the teeth cutting cost per gear. Here is the ball bearing support for the layshaft with retainer that doubles as the shift shaft bearing block. It saves using a retaining ring and also shortens the shift shaft which is made from 17-4PH hardened stainless so a little cost savings there too. I looked at the Nova site and they list two close ratio gearboxes but the links which presumably say something about the ratios are broken. I was somewhat surprised that they also are using a high gear bush rather than needle bearings as Quaife used on the T140 gearbox. So mine differs from the rest in having essentially stock range of ratios. John Hill.. I did not ask how many selectors, Mr. Gill did (which I quoted). Last edited by Arnstein; 02/17/19 9:59 am. Mr. Gill.. So it was David Drew that all the way communicated directly with Nova, not you? "a lot of work with nothing in return ", from David Drew or was it Nova that didn´t give you anything in return? It´s not nice if someone has a lot of knowledge and doing a lot of work helping out and are given nothing..
Hmmm, cheap cheese bearings are not really the answer in my opinion. Making a rolling element bearing is not that difficult with modern machinery, where China and India fall down is in the black art of steel making eg manganese inclusions etc. As their steel makers improve their bearing life will improve. With an inclusion just below the surface in a ball or roller track the surface strength at that point is too low and once it cavitates the end of the bearing follows shortly. Sort that out and life span will be equivalent. They will get better just as the Japanese did, question is when and which maker to trust that they has their steel supplier sorted out.